The most probable toy you could give your children to let them have a good time as they learn would be a wooden train toy. It is fun, child-friendly, non-health hazard, durable and educational. The only downside of this toy set would be that it can only entertain them for a certain period of time, maybe weeks or months up to a year. That is why most parents opt to buy an additional collection of wooden train tracks sets such as Chuggington train tracks to extend their children’s fun and educational play time. Chuggington is a type of wooden train set inspired from the animated train series. The design, details and aesthetics of the wooden train toy were all derived from the beloved children’s train show. The series features 3 young train engines and their adventure. It is actually a great idea to combine children’s love for trains and wooden toy train tracks. It could easily attract their attention which makes it a viable play set. There are actually other types and brands of wooden train railways set but you would want to keep an open mind in terms of compatibility. 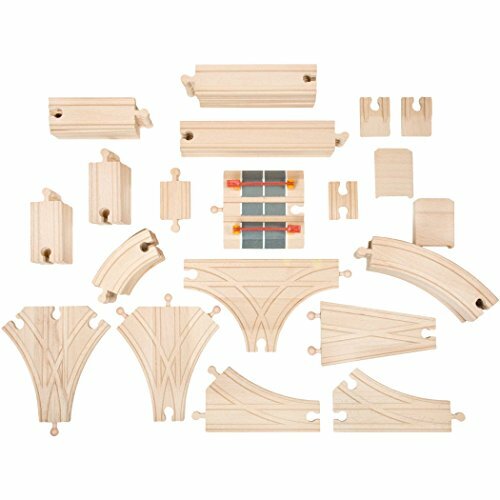 This would give you more options if ever you plan to extend your wooden train tracks layout or plan to purchase an additional wooden train toy. Most popular brand such as Chuggington, Melissa & Doug, Thomas Wooden railways and Brio uses the same tracks and standardize the size of their train toy. You can actually have a train layout for your kid’s with different brands of trains or tracks to build a more imaginative or creative train theme and play style. That is why we have decided to give you a list of the best and high compatibility train tracks for you and your kids. This train track value pack comes with a free musical train as an added bonus. The tracks are neatly colored in purple smooth finish. The pack consists of 20 pieces of wonderful, strong and durable train tracks of different length size. You can choose to have this as the first train play set for your kid or an extension to his or her existing set. It creates an endless possibility of track layout and it is perfect for all Chuggington track and train lovers. There are a total of 56 pieces of standard wooden train tracks of different lengths. It is consist of a straight, curve and a cross wooden track. It also includes a special wooden track with a built-in plastic tunnel to promote a more imaginative play for the kids. This is intended to be an expansion pack for your child’s existing Chuggington track sets or can actually be for those who have purchased a train toy with no free tracks. 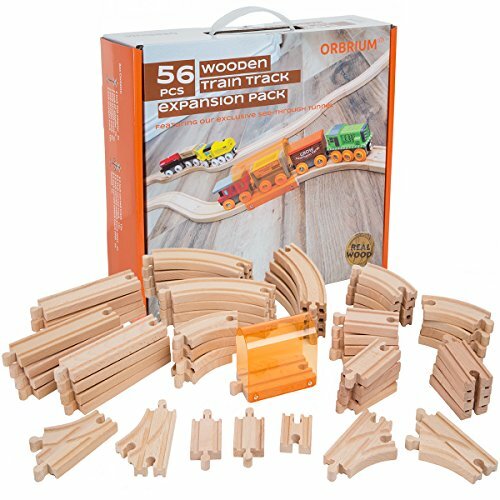 This is a small pack of wooden railway tracks from Orbrium Toys. The box consists only of 8 train track pieces but at an alarmingly affordable price. You can actually buy s few boxes if you find it insufficient for your children’s intended train track layout. 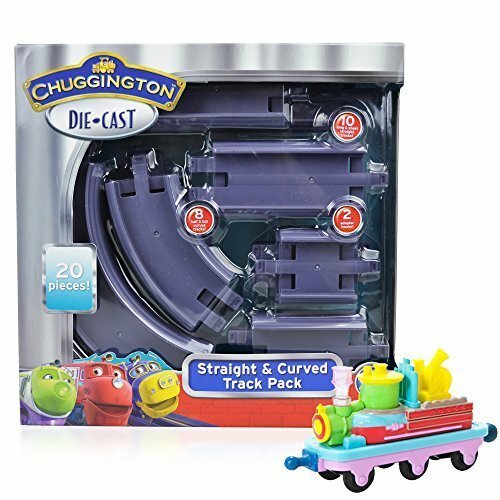 It can be connected or added expansion set for your child’s current Chuggington tracks. It is highly compatible and with reliable durability. It will last for a long time of child’s play. Not satisfied with their 8 pack? 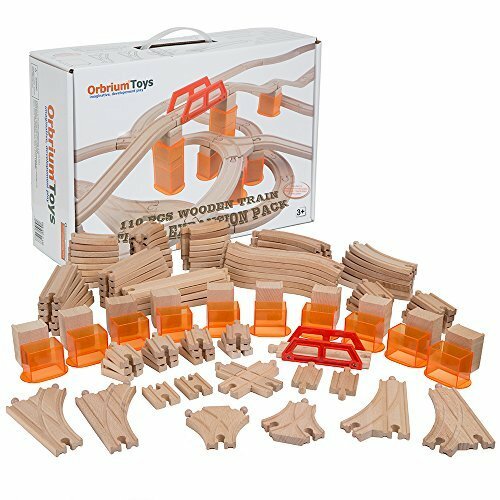 Then what about a 110 pieces of multi-level wooden train tracks from Orbrium Toys? It is compatible with most popular brands of wooden railway set. These are also viable Chuggington interactive tracks. 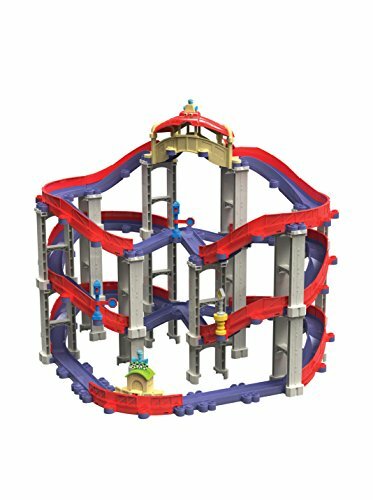 There are 17 types of tracks included: 10 connectable plastic tunnel wooden tracks, riser stabilizers and more. It conforms and passed the safety requirements and standards of CPSIA and ASTM. The tracks are also packed in a glossy box with a handle for efficient storage and transport. The next set is a die-cast metallic Chuggington train tracks consisting of straight and curved tracks. There are 8 types of tracks that come in one or two pairs. The set has a total number of 20 pieces. It is a perfect expansion set for your die-cast Chuggington play set. There are only a number of die-cast Chuggington train toy and tracks and this one right here would be a benefit to have as they are very hard to find. Magnificent isn’t it? 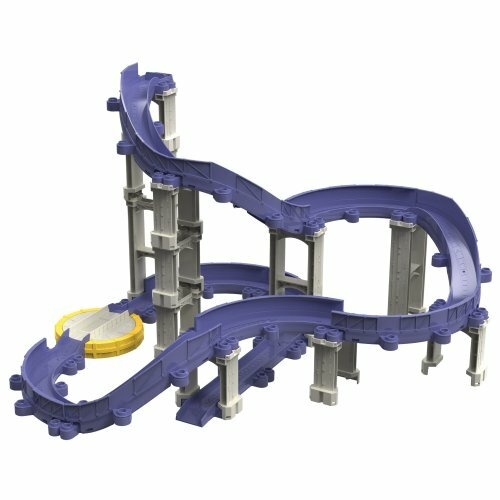 Why not start collecting your stacktrack set for your kids to give them more options on how they would want to have their train layout. One of Chuggington’s original wooden railways set at a great price. It is a track set that forms an oval. The lay out is very easy to assemble or set up. There are flips installed at some part to allow you to create an alternative layout. There are also some flexes in some tracks for a more stable and steady elevations. It is great for children who owns a wooden train toy or for those little Chuggineers. It is recommended for children 2 years and up. 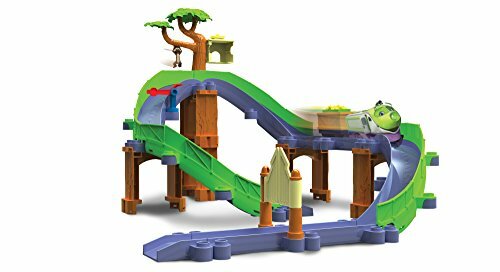 This is sure to be a great additive track for your children’s wooden railway set. It will provide them with more fun and entertainment as they watch their train climb up the rotating bridge. 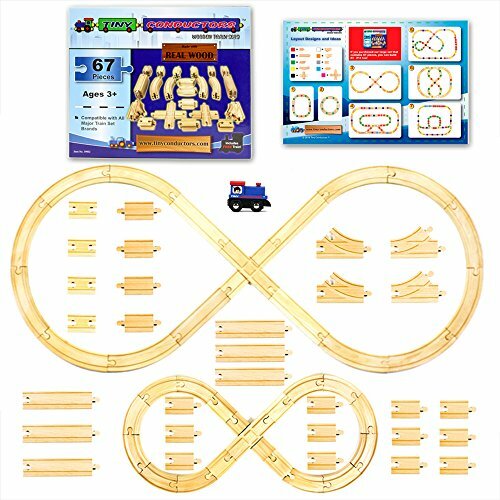 It is one of the most easiest and efficient way to expend your kid’s wooden track collection. Although a complex piece of expansion track, it is built with great sturdiness, stability and durability. It won’t break or wear so easily. The expansion track can last long to provide entertainment and fun. 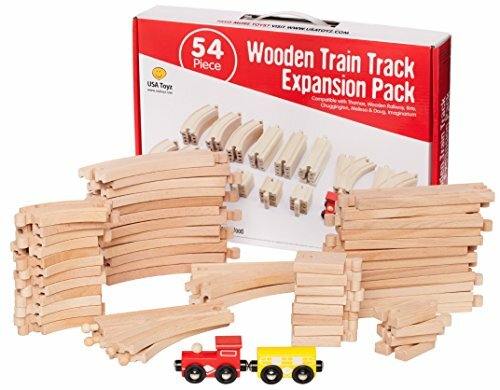 For those who want to extend their children’s chuggington track layouts, this would be a perfect wooden railway track expansion pack, brought to you by USA Toyz. The set consist of 54 pieces of different types of tracks. It is of the same standards with other popular brands making it highly compatible. 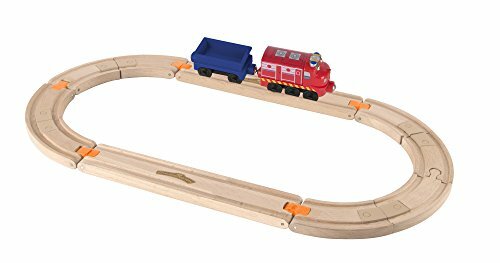 It fits a wooden train toy from Brio, Thomas and Chuggington perfectly without experiencing any stuck or derailing moments. The next here would be the Chuggington stack tracks. It offers wonders of trains traveling up and down a twist and turn tracks. The track pack consists of 15 pieces of detailed, colored, durable and sturdy tracks. Start building your tracks on a higher level. Of course, this set only contains tracks. It can connect and be played with Chuggington Die cast train toy and tracks but it’s being sold separately. This is great for children who love trains with ages of 3 years and up. Another great chuggington stack tracks. 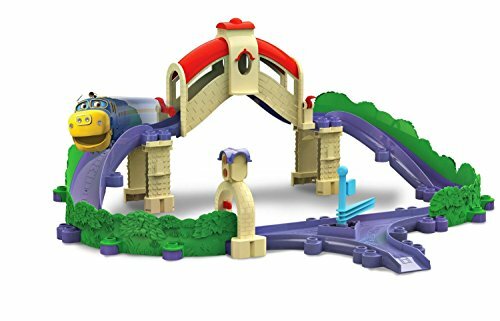 This is the Koko’s Safari Adventure train and track set. The set features and includes a decorative Koko figure/model. The tracks are versatile. It has 2 different layouts you can assemble and set, depending on your preference. The set includes a safari gate and a monkey figure hanging on the tree to help actualize and imaginary safari adventure. The tracks are comprehensibly detailed and colorful. up. 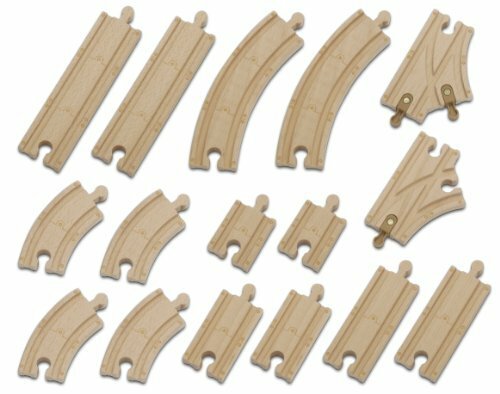 For those who are looking for a pack with a specific type of track instead of an assorted one, this pack from Orbrium Toys offer you 8 pieces of strong and durable curved-switch tracks made from real wood. These 8 pieces of tracks are used to combined or merge railway lines. It adds more train rout, loops and technically, adds fun. The tracks are double sided. You can easily switch to a side that fits your layout. It is a versatile and can work great with most popular brands. One of the most proud of chuggington track set are the stack tracks. This is a firetruck themed train tracks made of die-cast materials. The tracks are very well detailed, strong and sturdy. The durability of this track set surpasses that of those used in wooden railway sets and other ordinary plastic train tracks. It is also painted with fun colors. The set includes a nice motor powered Wilson vehicle. Wilson is a known character in the television series, Chuggington. The set is compatible with other stack tracks. These are train tracks set from Tiny Conductors. It uses standard measurements that make it highly compatible with leading and popular brands of wooden railway sets. There are only a few stocks left. The set consist of 67 pieces of different types of tracks for an affordable price. The manufacturer also sells a set of 15 pieces but for half the price which is not that practical. The wooden tracks are solid, made of premium hard and durable wood, Eco-friendly and choke-hazard free. Have your chance to expand your or your children’s chuggington track layouts with this amazing and affordable expansion set. Unlike the chuggington wood tracks, this is a stack track that is made of die cast materials. It is much more detailed compared to wooden tracks and it is usually painted with bright and fun colors. These are best for all die cast made chuggington train sets. The tracks can make three different alternate lay out, depending on what you prefer. It holds 3 levels of elevations which you seldom see in other tracks. The tracks include a high performance train and 2 detailed cargo cars. The set is recommended for young children with ages 3 or higher. This stack track comes with a great and detailed hand book filled with chuggington track instructions. It makes assembling so much easier. This is ideal for starters or beginners who are just about to have their first train set. It is a complete set that includes 3 chugginton train characters and its own die cast train tracks. 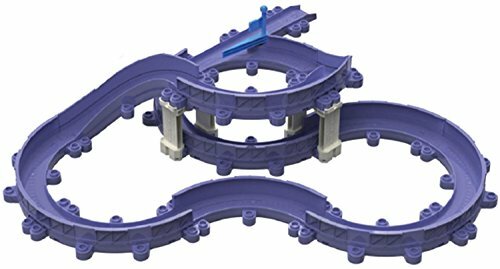 The set is compatible to be paired or connected with other chuggington stack track. Let your children enjoy a versatile and expandable set and have their own creative train track layout. One of the great train tracks additive and a nice way to expand an existing wooden track set is by using a bumper at each end. End bumpers create a race tracks. It indicates a stop or a start with most train track layouts. This one here is a pack of 4 pieces of bumpers from Orbrium Toys. The set includes two pair of male and female bumpers. It is compatible to be attached with major brands wooden train track system. The nice thing about this chuggington track set is you have a variety of options to choose from. You can have a track pack that could actually form a basic train track set or an accessory pack which includes a cross track, chuggington signs and symbols. You can also choose to buy their elevated tracks if you are planning to build elevate your lay out by adding some bridge, etc., all of which are made of real wood and built with great construction. 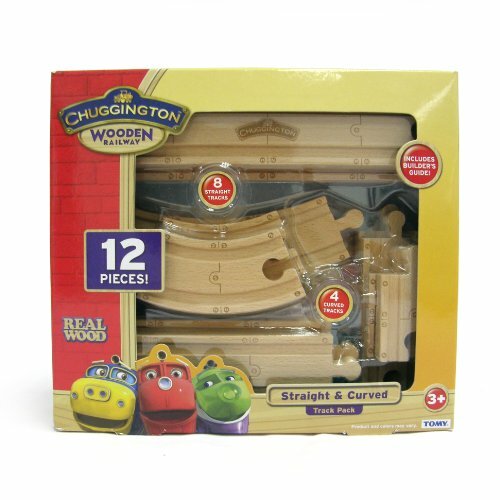 There are only a finite amount of stocks left of this amazing Cargo-Crossover chuggington wooden train tracks left. It would be to your advantage to grab a set of your own for you or your kids. It is won’t cost you much as it is cheap and affordable but the tracks are of great quality. The design resembles an 8-figure track but with a bridge-like elevation in the middle. The layout is very quick and easy to connect or assemble. 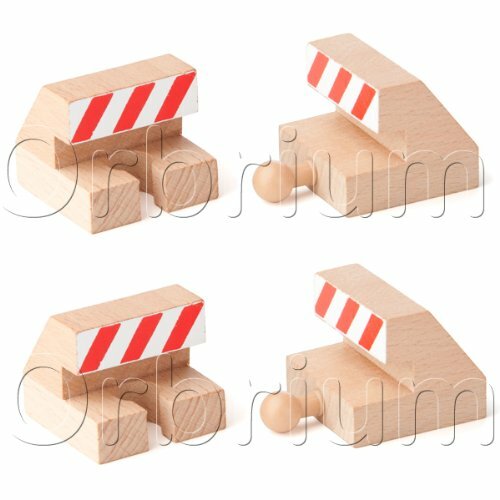 Orbrium Toys never fails to keep and maintain their good quality and innovative wooden train tracks. 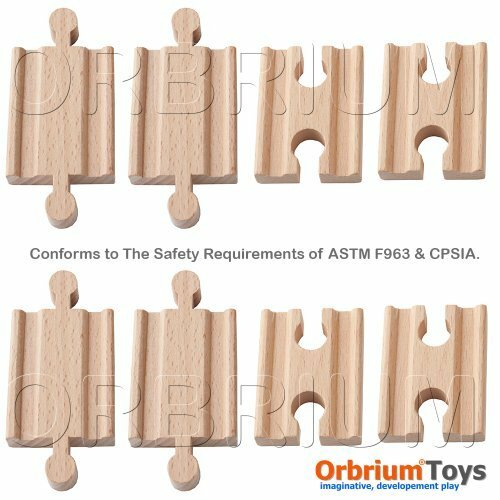 This next expansion set from Orbrium Toys comprises of 52 wooden train track pieces of different types. It is actually a complete expansion set with straight, curved, crossover, double sided switch tracks and more. Each piece is made of solid and durable beech wood. It is guaranteed to last for generations given that your kids won’t lose or throw it away. 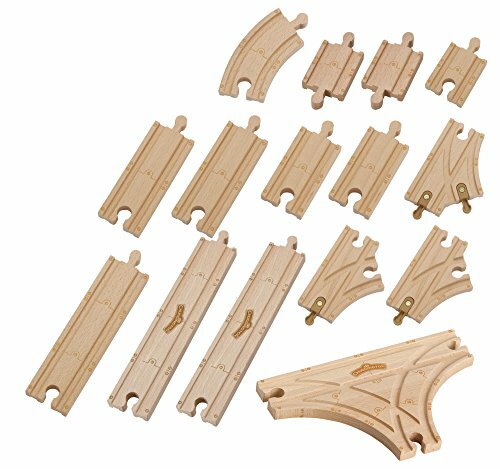 This is a simple set of wooden chuggington tracks. 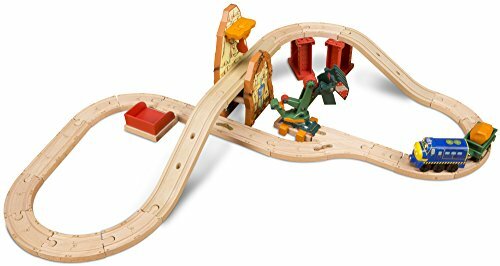 It includes several pairs of straight and curved wooden tracks, a total of 12 pieces. It can be used with major train toy and track brands such as Brio and Thomas. It is made from Eco-friendly wood construction. The set also includes a train track builders guide to be used as reference in building different train track layouts. The expansion set can be purchase for a small and reasonable price. The next chuggington compatible tracks are from ToysOpoly. 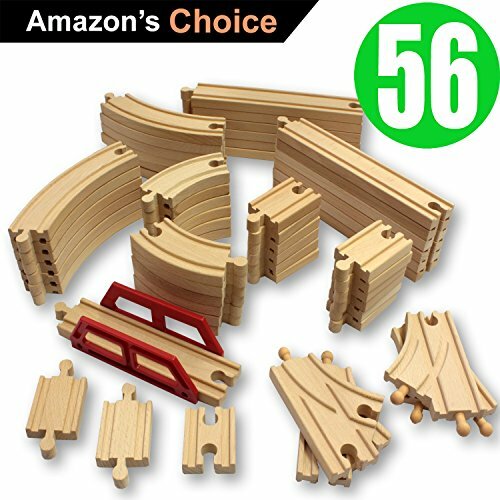 They offer you a purchase option to buy a 23 pieces wooden track set or their 56 pieces. The set of 56 pieces are preferred due to its price which would be much lower of you double the cost of the 23 pieces set. It would be more practical and would leave you to a variety of train tracks designs to think about. The set is toddler friendly, compatible with most major brands and passed all the necessary safety and standard test of CPSIA and ASTM. This is a chuggington stack tracks expansion set. It is called a 10-in-1 pack due to the different design and train track layout you can do with this set. It does not include trains or other accessories. It only consists of tracks made of die cast materials and the pillars to which holds the tracks to an elevated angle. The set has a total of 28 pieces, all durable and long lasting. It can work great if you have an existing die cast, stack track as it will provide you with more creative and imaginative designs. 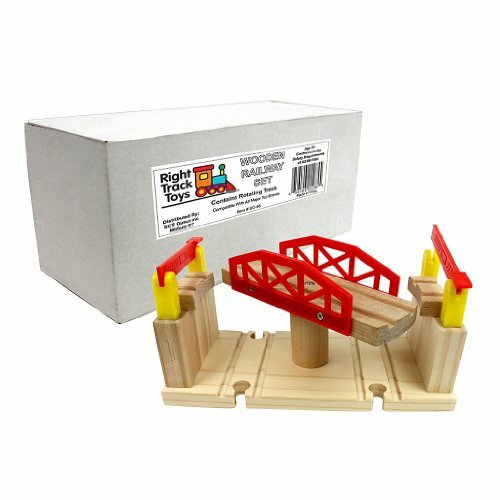 This is a 59 pieces wooden train track set from Playbees. The set is compatible with most brands such as Chuggington, Brio and Thomas wooden railway tracks. It fits tracks, cars and train engines perfectly. It is also compatible with magnetic coupling train cars from Orbrium, Brio and more. This is a nice way to expand your collection of tracks. It is complete with curved, cross tracks, straight, double sided switch tracks and more. it is approved and certified by safety governing entities such as ASTM and CSPIA. 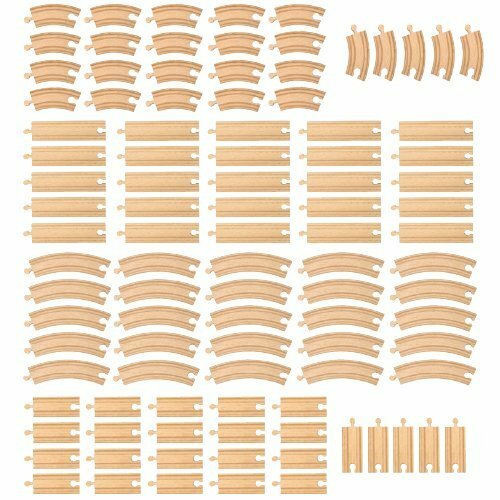 If small train track set won’t be sufficient for your ideal train track layout, then why not try this full-packed, 100 pieces wooden train tracks from Conductor Carl. It is a bulk set of different types of train tracks. It is all that you need to build your train empire. 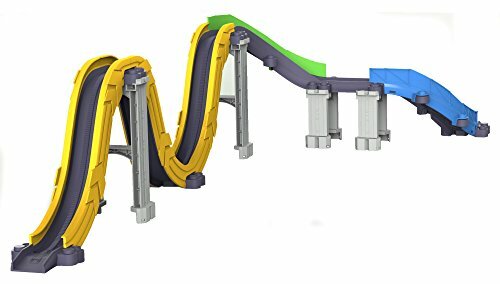 The set has 25 pieces of 3.5 inches curved tracks, 25 pieces of 6 inches curved tracks, 25 pieces of 3.5 inches straight tracks and 25 pieces 6 inches straight tracks. It features tracks that got no loose pegs and a single-piece construction. It encourages a creative play where your kids are set on combining each track that develops physical, cognitive and social skills. There are only a few of this amazing chuggington stack tracks and fortunately, you still have a chance to grab one set now. This set is designed and built to be used in chuggington die cast made, motorized engine train cars. The design also provides high and stable elevation. 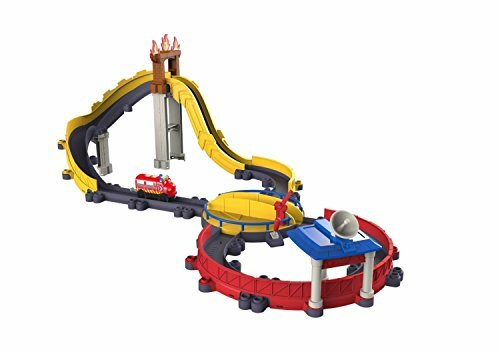 It can be combined and be connected with other stacktracks from chuggington. Let your children with age 3 and above to reach a new level of train track heights. 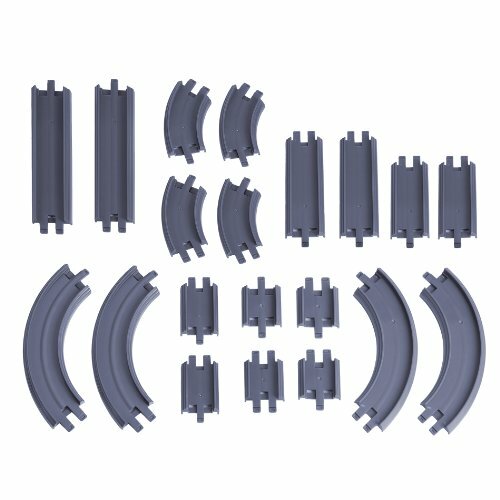 If you find stack tracks a little expensive, there are also chuggington stack tracks that are made with the same standards of quality but on a much cheaper price. This one is a small size stacktrack that features a bridge and a tunnel. It has one level of elevation but sufficient enough for a simple, circular track layout. Although smaller in size and dimension, the set is built with exceptional details and solid construction. It has 2 different layouts depending on your preferred design. The set includes a detailed manual with visuals for an easy train track identification and assembly. This is a simple chuggington wooden train tracks. It is an expansion pack, that of a figure-8. 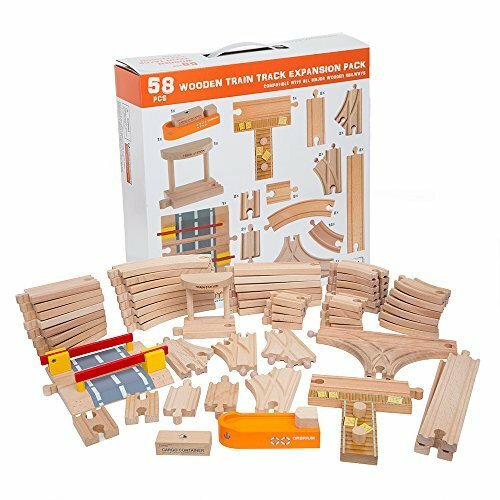 You can have this set to be your actual track with simple 8-figure where you kids can layout their wooden train toy from major brands such as brio, chuggington and thomas wooden railways. But it can also be a great track collection for you to be able to expand your children’s existing figure-8 tracks and promote it to a larger size and dimension. It includes a builder’s guide to be used as reference containing different train track layouts. This is a chuggington wooden train tracks that features a mine excavation layout. It has an overall length of about 7 feet. The set comes with a wooden train engine car, a cargo bin, chuggineer brewster, excavator and a magnetic rock. All that your child needs to have a healthy and imaginative play setting. 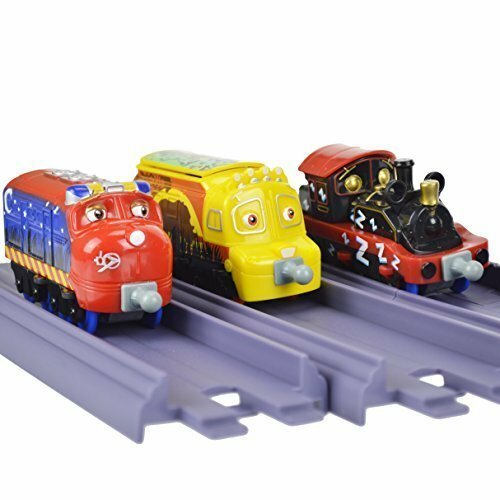 Other train wooden toy and tracks are also compatible to be used with this set. You can purchase and expansion set to extend its fun but, the set alone is pretty much entertaining for your kids and could provide them long hours of fun. 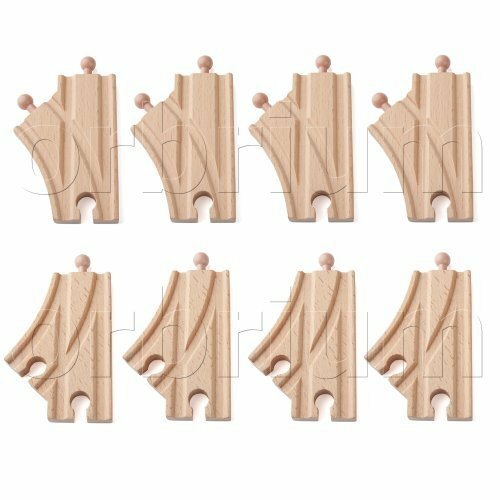 The most awesome, sophisticated and highly entertaining toy train tracks are saved as the last product on the list. This chuggington stack tracks requires some effort and assembly skills. As you can see in the picture above, it has several layers of loops and elevations. The set includes a complete and detailed guide book that features 7 different alternative layout. It provides and promotes an actual train racing tracks. There is a victory flag that pops out every time a train passes over the finish line. It is great for kids aging 3 and up. The set discreetly stimulates their brain and develops their skills while they have a joyful moment.